Now I am truly glad I bought a Kindle version of this book, because I couldn’t wait for the paperback version of John Kavanagh’s Win Or Learn book to be released on July 27th 2017, so if your a huge MMA fan like me, and you don’t mind digital books, then you might not be able to wait for the paperback. Now while I’m not going to give away any heavy spoilers, I will give a general overview and feel I had from reading this autobiography – As with any review I will give you my honest opinion and you can make your decision based on that. Now any MMA fan will know, but for those of you who are new here let me tell who John Kavanagh is. Mr Kavanagh is a Brazilian Jiu-Jitsu black belt since 2007, as well as being well versed in all areas of Martial Arts, and is the head of now one of the worlds top MMA gyms in Ireland called SBG (Straight Blast Gym). But once upon a time he was a skinny kid growing up on the tough streets of Dublin, Ireland, getting bullied often, and one day he took a severe beating for trying to defend a woman. Ever since then John walked a path of martial arts, became advanced in Jiu-Jitsu and started training fighters in a tiny shed, and promoting some of the first MMA events in Ireland. Then one day a brash young lad walks into his gym called Conor McGregor – so long story short this book will give you John Kavangh’s own amazing journey, but also how his own journey intertwined with and manifested one of the biggest stars in combat sports today Conor McGregor, as well as the unknown beyond. John knew before writing this book, that there is no way he can tell his own story, without telling Conor McGgregor’s story also. For those of you who have been living on the moon the past few years – Conor McGgregor is the first ever two weight world champion at the same time in the UFC. He joined the UFC in 2013 and since then has defeated everyone he has faced, majority by KO apart from a single loss to the incredibly tough veteran Nate Diaz by rear naked choke, which he quickly avenged in a rematch. His meteoric rise to fame has already become a thing of legend in the world of MMA, and as all us fight fans sit around waiting to see Conor McGregor vs Floyd Mayweather, if it wasn’t for John Kavanagh’s amazing work training Conor for so many years, then we may not have ever got to this point. Conor was celebrating winning £50,000 for his first UFC fight while still collecting welfare checks from the Irish Government, and now he stands to make at least £75,000,000 when he fights Floyd Mayweather on August 26th. Nothing has ever been done like that by an MMA fighter, and this book explains how this amazing rise began. John’s whole philosophy about martial arts and fighting, is that one must always be winning or learning. The concept of defeat does not exist for a true martial artist, because in defeat there is only new lessons to learn to expand our capabilities, so that winning becomes more frequent in our combat situations. This philosophy is so true and really extends to everything in life, because in life we must strive to succeed in all things that we do, but defeat can hit us when we least expect it and we have to learn from this defeat. If we do not learn from our defeats and mistakes, we will inevitably be doomed to repeat these mistakes and defeats again. But when we start learning from our defeats, and we get used to learning from our defeats, then we will improve our abilities to avoid those mistakes and defeats in the future – because now technically in our martial arts skill and our stability and productivity as a human being we are a constant process of improvement upon an improvement. Fully chronicles John Kavanagh’s amazing story of growth through Martial Arts, and is already being discussed as one of the best Martial Arts books of all time, certainly with regards to such a high calibre coach. Is available in various formats which is great if you prefer Paperback or Kindle digital copies. No matter what format you get this book in, you will be getting it at an amazingly low price under £10 (GBP) across the board. The book is written in a style so that you don’t need to grab a dictionary on every page, which is a trend with a lot of autobiographies, making this a really practical read. Story line is a such an easy story to get behind for anyone – a guy who comes from nothing, shows what man can achieve – from being beaten up on the streets of Dublin growing up, to going on to become a world class Martial Artist, and then go on to coach one of the greatest fighters of our time in Conor McGregor from the very beginning of his career. This book really highlights how John Kavanghs “fatherly figure” role develops with his relationship with many fighters, and ultimately hows self-sacrificing John can be for others to help them pursue their dreams. Details Johns unique character and how it developed at a young age, where he only enjoyed subjects that were based on a process of factual outcomes like maths, whereas he struggled with topics that were more opinion based like English. The book also goes into details how John has dealt with the adversity of the political issues in Ireland that some politicians and radio show hosts have with MMA who have been trying to get MMA banned. Some obsessed Conor McGregor fans or book critics may complain that Conor the biggest name in MMA right now is not spoken about immediately in the first parts of the book. But John deals with this intelligently in my opinion, by subtly referring to Conor, in terms of for instance mentioning the way “The Notorious” deals with anything in combat sports. Personally I would have liked it to just be a little bit longer, not necessarily hundreds of pages more, but the story is just so awesome that I think it could have been “milked” or just extended a little bit more, but these are the only issues I see with this book. Bottom line this book is a winner! So now that I have given you a little taster, if your smart, if your a real winner you can see this book is golden, so take my advice and get yourself a copy of this instant cult classic in the world of Martial arts books and autobiographies. If you ever wondered how John, Conor, all the SBG fighters and Irish MMA bloomed, then this is a must buy book for you. Honestly even if you don’t know who John Kavanagh is, or you somehow don’t know who Conor McGregor is, you will still be able to enjoy this book, because just as a straight autobiography and psychology of living the philosophy of winning or learning it can appeal to any person. So by now you must be ready to get yourself a paperback or Kindle version of this historic book, and you can do that right HERE. I hope you enjoyed this review and if you have any questions comments or general feedback, then don’t forget to drop some below. Don’t forget to like, share, subscribe and stay tuned for more from the world of MMA at the best place to get your martial arts fill online – MMAGateway. UFC Event Posters – Immortalise your favourite fight cards! Well, I don’t know anything about martial arts nor do I follow it. I thought you gave a very good summary of the book without giving anything away. It left me wanting to know more and I am not a person who would normally choose a martial arts book to read. Great review! Hi Trisha, welcome! Glad you liked this book review, and sounds to me like you might want to get this book at some point and don’t forget Martial Arts improves peoples lives and can be picked up at any point of life. I delve into this point more in this post if you want to look. As an MMA fan and practitioner, I’m kinda surprised that I didn’t even know that this book was out(or for the paperback, almost out). Lately, I’ve been reading(or listening) to traditional bushido books that go deep into the philosophies of the arts. Really interesting and inspiring stuff. I’d like to see John’s outlook. Though not a die-hard McGregor fan, I know that he’s done things in this sport that no one can come close. I saw him up close at the Mayweather-McGregor press-conference in L.A., and the way he carries himself is something else. I’m sure that his confidence and much of his success in and out of the cage can be linked to his team, and John especially. I may have to check out this story. Hopefully, they have an audio version of it. Thanks for the info and for the review. Well as a big MMA fan and practitioner i would say that this book is a must read for you – i haven’t spoken to anyone who hasn’t liked this book honestly! Oh cool, yeah i saw Conor and Floyd in London for their press conference, and like you say Conors confidence and how he carries himself is classic 🙂 but again like you say, its really down to his team and John Kavanagh that got Conor to where he is today. 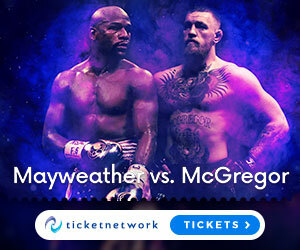 Have you got a ticket for Conor vs Floyd yet? Well you can read more about the event and get ticket information right HERE. Anyway thanks for your feedback, come back again soon bro! Well written article! I know who McGregor is but never knew who John was and he sounds like a great guy! I was never really into MMA but this sounds like a book I can get into and the fact that the book is relatively cheap makes the decision even easier 🙂 Great review! Hi Sade, glad i educated you on who Conor McGregors coach is, and that’s important because John Kavanagh has been Conors coach since day 1! I don’t have much knowledge on Martial Arts but always fascinated by it, as most movies, they display Martial Arts. After reading your post, I’m very eager to read the book! Hi Demi, well this is it you see, Martial Arts is a part of human history, so even when you’ve never done any martial arts, its something that anyone can learn at any age 🙂 John Kavanagh really pulls concepts like this through in this book, and in general for anyone its an amazing read. So I hope you enjoy it too 🙂 i also suggest you read this post to learn more about the the connection of Martial Arts to psychology and development. Fantastic review of the John Kavanagh book – Win or Learn… this looks like a really interesting read! Conor Mcgregor really is an interesting character and has really hit the limelight with his latest fight with Floyd Mayweather, so it’s great to be able to read about some of his backstory from someone with an inside knowledge, as well as John Kavanagh’s story as well! I too am a HUGE MMA fan, so I am definitely getting this right now! Hey John, yeah this book is amazing simple as that, its a must have for all MMA fans! Also if your looking for a good freestanding bag to use then try this one. Great book review for John Kavanagh – Win or Learn book. I don’t know much about MMA, so this was very insightful. It was fascinating to learn his backstory. It sparked my interest in learning more about him and his Jiu Jitsu black belt journey. I love stories about people who overcome and persist until they succeed! This looks like it is going to be a good read! Thank you for such a thorough product review of the book! Hi Melinda, glad you liked this review and don’t worry it doesn’t matter if you don’t know much about MMA, but martial arts is a natural part of all human history and culture worldwide, so the techniques, principles and stories are valid for everyone. Bottom line John has made an amazing book here, so if you want a good read then you have to get this book, its easily one of the best martial arts books I’ve ever read. If your looking to start learning a martial art i can strongly suggest this one. This looks like a pretty cool book. I have never read an MMA book, but it seems like it would open my eyes up to the behind the scenes of MMA. I admit I was a little more caught up in the Mcgregor VS Mayweather fight than I should have been. I was just hoping to see Mayweather go down, just like the rest of us. Hi Austin, yeah this is easily one of the best MMA books ever written, by one of the best MMA coaches currently in John Kavanagh. But i know what you mean man, i was heavily behind Conor in the Mayweather fight, like you say we all wanted to see Mayweather come crashing down, but it was just a little bit to much of an ask for Conor in his first pro boxing bout. Anyway see you again soon bro!